Nancy, I’m glad you found this post of use. You should try growing some of your own onion transplants. What worked for me was to start them in the house in January for the first week–just until they germinated. 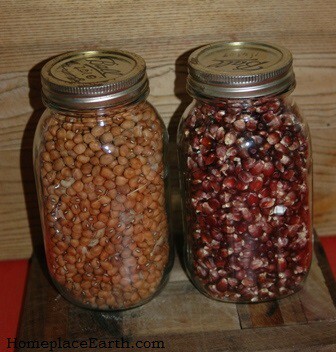 The seeds germinate fast in the warmth of the house and you don’t need grow lights for that. Once the plants were up I put the flats in the small greenhouse I had to grow on until they were of transplant size. You could put the flats in a low tunnel or cold frame. I would put a fabric row cover over them for extra protection if the weather took a turn for the worse, but the plants can stand freezing temperatures at night. Making sure you have a storage variety is the important thing so that they won’t get soft. You should find this 2012 post to be helpful–https://homeplaceearth.wordpress.com/2012/01/24/onions/. Pam, I originally bought the seeds from Southern Exposure in 2002, I believe. I have been saving my own seeds ever since. Back then we had a series of drought years and I was looking for something to grow in dry times. If I remember correctly, it rained all of 2003 and the cowpeas did well then, also. They like hot and dry and a greenhouse would provide that in the summer. That’s a good idea! I plant them after the grains in mid-June and harvest in September–always watching the weather to harvest what I can before the rain. I let them grow through hoops made of field fence that are put over the beds early on. That keeps them off the ground to avoid moldy pods if it does rain. So happy to find your blog. 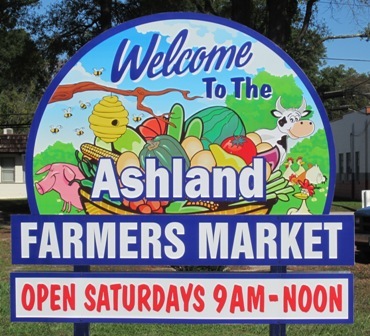 I am in Northern Va. and thinking of relocating to the Ashland area again to start up my permaculture adventures. (I find the condo living a bit too challenging). 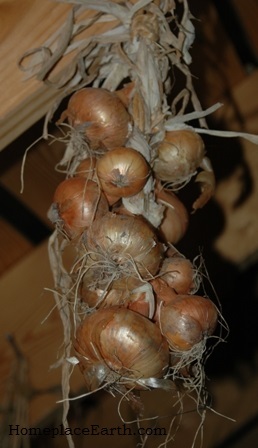 I will be planning for some onion on the balcony garden, so glad to find this interesting article.